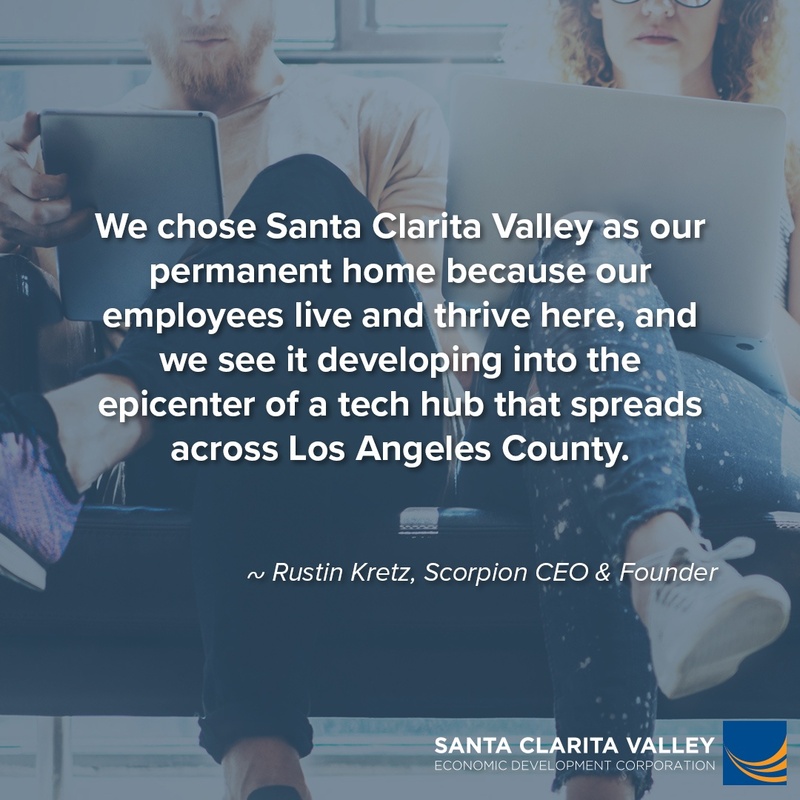 The Santa Clarita Valley is Los Angeles County's most business-friendly location with a highly educated workforce and a variety of industries that keep our economy strong. Not only do companies love it here -- but their teams do too. Housing for every budget, great dining and entertainment options, excellent schools, miles of hiking and biking trails, and low crime rates make the SCV an ideal live/work/play location. Ready to find out the benefits of locating your company in business-friendly Santa Clarita? Santa Clarita was named Most Business-Friendly City in Los Angeles County! Santa Clarita has NO gross receipts tax, NO employee tax and numerous incentives and tax credits! 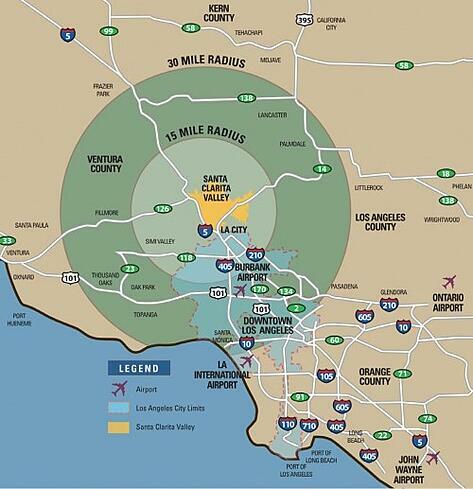 The Santa Clarita Valley Economic Development Corporation is your one-stop resource for business relocation! Download our Relocation Incentives Guide and find out how the Santa Clarita Valley Economic Development Corporation can help you successfully relocate your thriving business. And be sure to let us know if you'd like afree tour of available properties. LA County's Most Business Friendly Location! The Santa Clarita Valley is within easy reach of Los Angeles: only 35 miles from downtown LA and 7 miles from its northern border. The fastest-growing community in Los Angeles County, the Santa Clarita Valley is home to a population of nearly 300,000 and the third largest city in LA County, the City of Santa Clarita. This award-winning region is known for its talented workforce, thriving technology sector, top-ranked schools and universities, business-friendly culture, and unrivaled quality of life. These factors make the Santa Clarita Valley one of Southern California’s most desirable communities, with our new commercial developments raising the bar for what’s possible. Projected growth will bring significant new jobs to the region along one of the most dynamic growth corridors in California, and offers an excellent location for companies who are ready to expand.